Are prenuptial agreements a good idea? Consider their pros and cons to know if it is right for you and your special someone. If you plan to get married, your financial concerns should be considered before you take such a big step. Many couples, particularly those who were married before, have significant assets and/or have children from previous relationships. These agreements are not necessary for everyone. Sometimes they create tension in the union and can even risk the marriage. Check out the following to see if this kind of pre-wedding contract is appropriate for you. Here are four reasons why a prenuptial agreement should be a serious consideration. If you inherited money from a relative before this marriage, you may want to keep it separate from your jointly held assets. If you have a business or house you acquired previously that you want to leave to your children, you can protect it with a prenuptial agreement. This contract clause exempts the property, money or other items from new marital assets that would otherwise be divvied up in a subsequent divorce. Because one in four marriages end up in divorce court, isn’t it prudent to protect yourself? Many couples who were previously married sign prenuptial agreements. Perhaps being burnt before is enough: they know a split-up is possible, so they want to assure their families are not unduly affected if it happens again. Depending on the state , your assets may become community property after the marriage. If you make a romantic mistake and marry someone who just can’t make the grade, you want to assure your children and heirs get your money, not a bitter ex-spouse. A prenuptial is the best way to assure any money or property acquired by you during a failed marriage doesn’t go to your former spouse. It remains protected so you can leave it to your children. Divorce can be expensive in more ways than one. Since hiring a good divorce lawyer may be necessary, significant legal bills can result from a contested divorce. With a prenuptial agreement, the division of assets is already negotiated and agreed upon. This reduces the divorce cost and the length of time and mental anguish inflicted by the process. If you decide a prenuptial is needed, have an honest and frank discussion with your betrothed about how money will be handled during the marriage, and what happens if things don’t work out. You determine what assets are whose and the obligations you owe each other. While these discussions can be difficult , it is much harder to address these issues after an irreparable breakdown. Generally, sharing financial decisions is a good way to start off a marriage. If you have trouble in this initial discussion, it might indicate incompatibility in this important aspect of your marriage as it progresses. 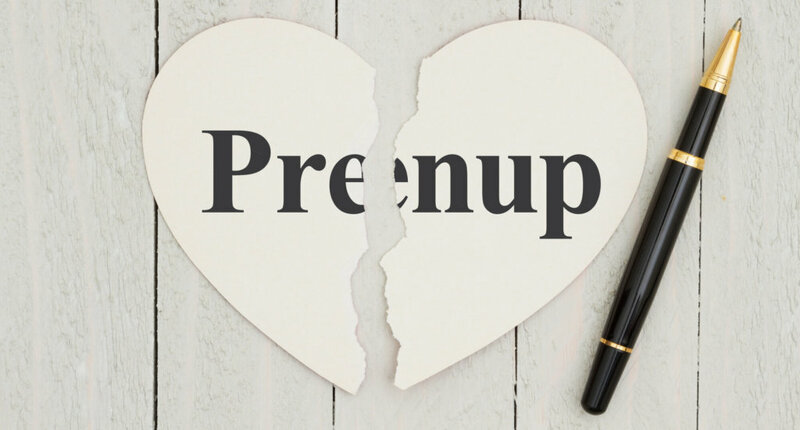 Here are four reasons why a prenuptial might cause more harm than it’s worth for you. Prenuptial agreements aren’t very romantic. Some prospective partners get angry and hurt that you are even consider the possibility of divorce before you’re married. If you’re young, haven’t been married and don’t have a lot of money, property or significant assets, a prenuptial agreement might not be worth the emotional turmoil. Prenuptial agreements can’t make predictive decisions on child custody. In other words, you cannot agree the mother will get full custody of any children or that you will share custody. Child custody arrangements are determined by a court based on the best interests of the child or children. The circumstances surrounding a divorce or custody dispute can be very different than when the prenuptial was signed. The court is not hostage to an old agreement that no longer applies to your children. Prenuptial agreements are intended to cover financial issues, not any children’s upbringing or wellbeing. You also cannot create a prenuptial that invalidates the need for child support. Child support is determined by the court, not set by an earlier contract. Be forewarned: some friends and family members could tell you a prenuptial pact assumes the marriage won’t last. After all, isn’t it supposed to be “until death do us part”? Some people see pre-marriage contracts as a bad omen or an indication your marriage is doomed. Sometimes it’s hard to separate business from marriage’s emotions. You may have to defend this decision to your prospective spouse and family members if you feel a prenuptial agreement is needed. Sometimes one marriage partner has much more money than the other. They might retain experienced lawyers and be savvier about law or business. Like any partnership, while one party has more knowledge or power, the other person may lack the skills, ability or assets to fairly contest for their own good. If a prospective spouse pressures you to sign a prenuptial agreement, get your own counsel to assure you don’t toss away your rights. Courts are known to throw out pre-nups if they’re inherently unfair, fraudulent or if there was no full disclosure. When you weigh the pros and cons of a prenuptial agreement, factor in your own details and circumstances. Your net worth, assets, age, profession or earning capacity, as well as the children’s ages, can determine whether you need a prenuptial agreement before you wed.
Get all the facts and consult an experienced lawyer before you sign anything. For more information on this and other family law matters, check out our blog.